My world turned upside down when six agents of the Philippines' Bureau of Immigration came to my house to arrest me, writes Sr Patricia Fox. Source: ucanews.com. 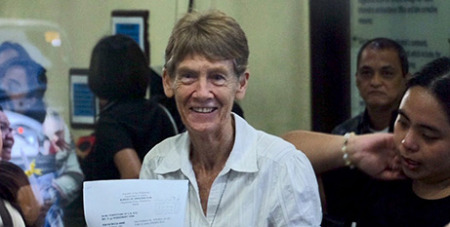 – Australian missionary Sr Patricia Fox of the Congregation of Religious Sisters of Our Lady of Sion has been working in the Philippines for 27 years.